IE Blog Europe & CIS | Dimitrios Spiliopoulos: Leading Engagement Actions on Campus, Making the Elusive Triple Jump at Graduation, and Becoming an IoT Expert. London is a great location to find some of IE’s finest alumni, who are doing the most interesting work. Recently IE’s Regional Director for Europe, Joël McConnell (JM), had the chance to catch up with International MBA alumni Dimitrios Spiliopoulos (DS) to discuss his time on campus at IE Business School, and how he made the elusive triple jump at graduation: new geography, new industry, and new function. 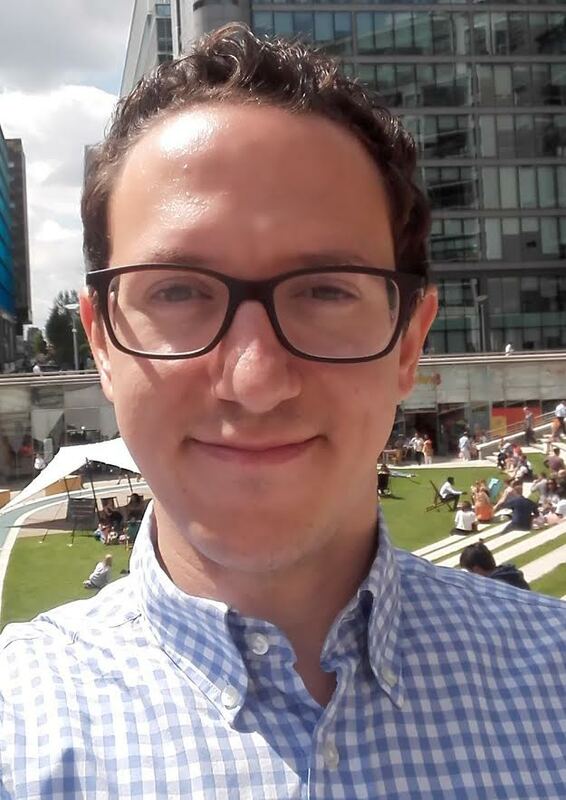 Dimitrios continues to be an engaged and supportive member of the IE alumni club in the UK, and he is definitely an alumnus worth connecting with in London. Below is the transcript from their interview. DS: “Indeed, international trade was a clear path for me, as I love travelling and exploring new markets, and seeking out new opportunities in complex business environments. This passion for international exposure started back during my ERASMUS program in Copenhagen Business School where I did my undergraduate exchange. When I was finishing my bachelor studies, I had a clear vision: to find a job abroad instead of doing a master like most of my friends. So, and thanks to my involvement in AIESEC, I went to New Delhi to work for a big Indian construction group. I was lucky enough to have the opportunity to be responsible for the Scandinavian and Greek market for natural stones, such as granite, marble, sandstone and more. The job was quite interesting, but what I most enjoyed was experiencing the diversity India had to offer. And while in India, I enjoyed many experiences with new friends from around the world, one of which I would later meet again at IE! The military service is something that it is mandatory in Greece. And while I was afraid that it would set me back professionally, I was selected to serve my duty in Cyprus – a really interesting destination for many reasons, and I’m glad to have had the experience. DS: “My job and life in Athens were good, but I wanted to expand my horizons and do a complete change in trajectory. Therefore, after plenty of research, I decided to do a top MBA that had global recognition, and it was a big challenge as funding was an issue. I also wanted a program that did not have a standard curriculum, but instead one that offered flexibility, many opportunities to try different things, and I wanted to study with a highly diverse group of students and professors. After all my research, I found the program I was looking for, which was the International MBA at IE Business School. DS: “Indeed, I changed country, industry and function. After the MBA I joined the global Internet of Things (IoT) team at Vodafone as the team I joined needed someone with international commercial experience. At Vodafone, I was focusing on the strategic market development of the Retail and Smart Home sector doing strategy, sales enablement and marketing plans for these verticals. It was my first time both in a big corporate environment and in the technology industry, and my time at Vodadone was like a second MBA for me! I fell in love with the potential of IoT and I could not see my future out of this sphere. Before talking about my current role at Telefonica, I need to point out that I was initially rejected for the role at Vodafone but through some clever insistence via LinkedIn, I was invited for additional interviews and ended up placing with them. The point here is that a ‘no’ does not always mean a ‘definitive no’, but you need to be smart. You need to effectively transmit why the company should hire you, and to show your potential value to the company. DS: “Living in an ‘exit’ environment has taught me to be alert and ready to jump on great opportunities when they come up, or even to start something from zero. So, because of this it doesn’t concern me as much as it might have in the past. I feel that being comfortable with change is a fundamental part of the MBA experience, and we certainly learned how to adapt to change – and find opportunities, as part of the International MBA at IE Business School. London is a great place to live despite the relatively high living costs, and in practical terms, not much has changed despite the uncertainty related to the coming separation of the UK from the European Union. Moreover, I choose London because today it is the best city in Europe for IoT professionals, and you can easily travel to most destinations in the world from here; try many international cuisines; and meet new friends and old friends who might be passing through the city. We have also created a engaged IE community here thanks to the efforts of our graduates, the IE UK Alumni Club and the IE London Office. Work-Life Balance: Balancing a Career in an Evolving Industry in Romania, and Being a Dad too.From Amsterdam: Trends and Careers in Big Pharma (and Making the Jump from a Consulting Background).